For your consideration is this prop from the original movie "Terminator Genisys" starring Arnold Schwarzenegger, Jason Clarke, Emilia Clarke, and Jai Courtney. The film was released in 2015. 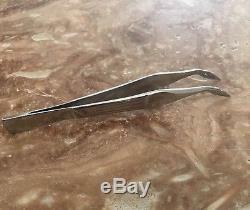 This Kyle Reese's(Jai Courtney) tweezers Movie Prop. This is used in the scene where Kyle Reese was handcuffed in the hospital and used these to uncuff. This item was acquired from a reputable prop house near Los Angeles, CA and comes with a Certificate of Authenticity from Prop Store. Please feel free to ask any questions. 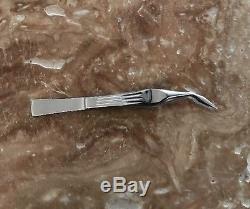 The item "Terminator Genisys Screen Used Metal Tweezers Movie Prop COA" is in sale since Sunday, June 4, 2017. This item is in the category "Entertainment Memorabilia\Movie Memorabilia\Props\Originals".